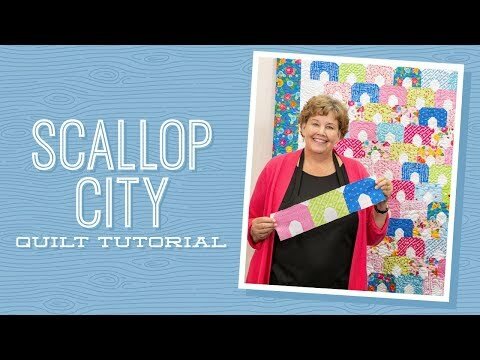 Digital Download - Scallop City Quilt Pattern by Missouri Star - Missouri Star Quilt Co. - Missouri Star Quilt Co. Create a soft, scalloped look without the hassle of stitching around curves in this simple, sweet quilt. The overall effect is like a bunch of the cutest little burrows you've ever seen! This quilt requires a roll of your favorite 2 1/2" strips in a fun print along with 1 1/4 yards of a coordinating background print. Start today and get snuggling soon!